Finding perfect Easter card sayings and sentiments can make all the difference and make an Easter card that little bit extra special. If you have a favorite Easter poem, saying or sentiment, you are very welcome to share this using the button at the bottom of this article. 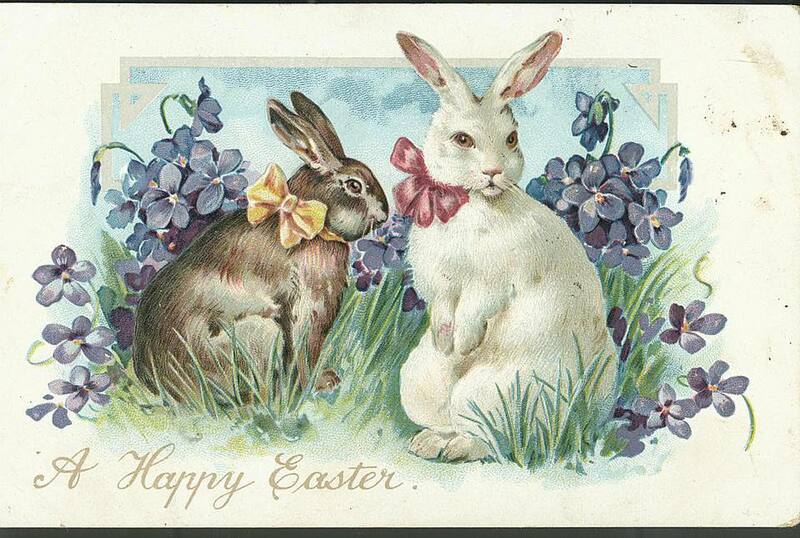 Easter means different things to different people and as such, there are a wide variety of Easter card styles. Easter cards can be reflective, full of religious meaning or simply a fun way to tell someone that they are in your thoughts during this spring celebration. The style of the card will dictate the type of saying or sentiment to include. Matching the Easter sentiment or saying to a handmade card is very important. An amusing or funny saying may look incongruous on a classic or traditional religious Easter card, whereas it would be totally appropriate for a cute or light-hearted design. Tip – Why not use a sentiment or saying as the inspiration for the design of the card. While this may seem 'back-to-front' it can be an effective way of perfectly matching a sentiment to a card design. Sentiment Stamps – if you are lucky enough to have the perfect Easter sentiment stamp then it is simple to stamp a sentiment onto a card. Experienced stampers can stamp directly onto the card itself. Newer stampers, however, or people who worry about a stamping 'wobble' spoiling their card, may wish to stamp onto a piece of paper or cardstock and add this to the card. Tip – draw a border around the sentiment or color the edges using a complementary colored pen or ink pad to draw the sentiment into the main card design. This will stop it from looking as though it has been simply stuck on as an afterthought. Alphabet Stamps – alphabet stamps are a good fall back for the times when the perfect sentiment stamp remains elusive. As this entails stamping each individual letter separately, beginner stampers or stampers in a hurry may want to opt for short sentiments. Tip – stamp onto scrap paper first to see how much room a stamped sentiment will take. If you need to split the sentiment over multiple lines of text, experiment to see how different configurations will look. Printed Text – adding printed text to a rubber stamping project can often be a good alternative, particularly when time is short and the right sentiment stamps are not to hand. There are many fonts that are suitable for Easter cards. Again, match the style of font to the design of the card. Handwriting – many people are concerned at the thought of handwriting sentiments or sayings on cards, worrying that bad handwriting may detract from the beauty of a handmade card. This is usually far from the truth, however, as a handwritten sentiment adds a special touch that makes the card even more unique.